White top hat extracts local maxima that are larger than the structuring element. Top-hats are described in Chapter 4.5 of Pierre Soille's book "Morphological Image Analysis: Principles and Applications", Second Edition, Springer, 2003. Gaetan Lehmann. Biologie du Developpement et de la Reproduction, INRA de Jouy-en-Josas, France. Definition at line 38 of file itkWhiteTopHatImageFilter.h. Definition at line 48 of file itkWhiteTopHatImageFilter.h. Definition at line 54 of file itkWhiteTopHatImageFilter.h. Definition at line 56 of file itkWhiteTopHatImageFilter.h. Definition at line 53 of file itkWhiteTopHatImageFilter.h. Definition at line 55 of file itkWhiteTopHatImageFilter.h. Definition at line 51 of file itkWhiteTopHatImageFilter.h. Definition at line 63 of file itkWhiteTopHatImageFilter.h. Definition at line 58 of file itkWhiteTopHatImageFilter.h. Definition at line 60 of file itkWhiteTopHatImageFilter.h. Definition at line 57 of file itkWhiteTopHatImageFilter.h. Definition at line 59 of file itkWhiteTopHatImageFilter.h. Definition at line 52 of file itkWhiteTopHatImageFilter.h. Definition at line 47 of file itkWhiteTopHatImageFilter.h. Definition at line 45 of file itkWhiteTopHatImageFilter.h. Definition at line 46 of file itkWhiteTopHatImageFilter.h. Definition at line 84 of file itkWhiteTopHatImageFilter.h. 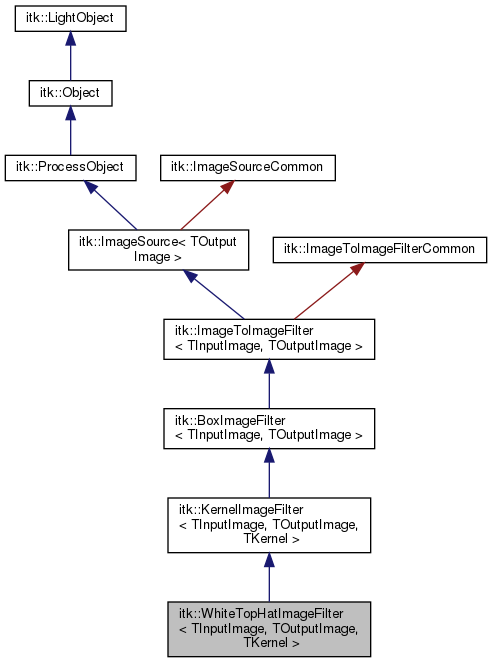 Reimplemented from itk::KernelImageFilter< TInputImage, TOutputImage, TKernel >. Set/Get the backend filter class. Definition at line 66 of file itkWhiteTopHatImageFilter.h. Definition at line 110 of file itkWhiteTopHatImageFilter.h. Definition at line 112 of file itkWhiteTopHatImageFilter.h. Definition at line 108 of file itkWhiteTopHatImageFilter.h. Definition at line 67 of file itkWhiteTopHatImageFilter.h.